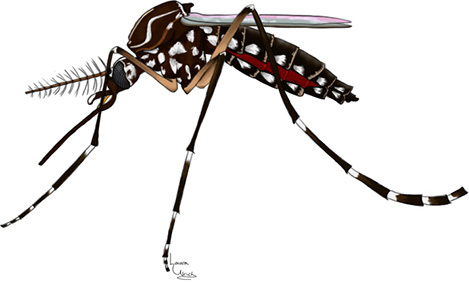 Malaria is a disease caused by the bite of an infected mosquito that has parasites. Symptoms include chills, fever, sweating, headaches, vomiting, and diarrhea. They usually begin after a few weeks of being bitten, although some types can take months, or even years for symptoms to show. If you’re planning a trip to a location where malaria is common, you should talk to your doctor about antimalarial drugs you can take before, during, and after your trip. Medicine taken to prevent malaria are the same drugs used to prevent it. Your doctor needs to know precisely where you are traveling so they can prescribe the drug that will work best on the malaria that is most common in that area. The selection of medicines depends on the region where you may be exposed to malaria and whether you’re pregnant, young, elderly, sick, immune or resistant to malaria, or sensitive or allergic to a certain antimalarial medicine. There are many things you can do to protect yourself against malaria. First of all, you should inform yourself about the disease and where you are traveling to. Pregnant women and kids are advised to avoid these areas. Second, you should do your best to protect yourself from mosquito bites. Stay inside after dark. Sleep in air-conditioned rooms. 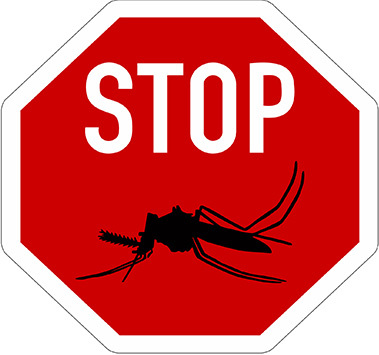 Sleeping in an air conditioned room reduces the risk for mosquito bites because it lowers the room temperature. If you don’t have air conditioning, make sure you have screens over windows, doors, other openings where insects could enter. Wear protective clothing that covers as much exposed skin as possible. Use DEET insect repellant(N,N diethylmetatoluamide). For young kids use a repellant with a strength of less than 24%, because it can be absorbed through the skin and can be harmful. Use bed nets soaked in or sprayed with an insecticide, but make sure that these nets work against mosquitoes in your area because mosquitoes have become resistant to these chemicals in some areas. Also, use bug sprays indoors around sleeping areas. Lastly, if you notice any symptoms, contact your doctor right away. Even if you’re sure it’s not related to a possible malaria outbreak, it’s better to be safe than sorry. If you notice any headaches, fever, chills, sweating, backache, joint pains, vomiting, or diarrhea up to six months or a year after traveling to any malaria-risk area, tell your doctor. In order to keep the fight against malaria strong, support is needed for funding, media attention, and awareness. Celebrities like Seth Meyers, who hosted the Malaria No More International Honors in 2012, help educate the public about malaria prevention, diagnosis, and treatment. Companies and business leaders like Exxon Mobil and Bill Gates support malaria programs and help develop new tools and strategies to fight the disease. Small businesses like Cash For Cars in San Diego, and Fat Boy’s deli have made donations that help fund programs for malaria. Every little bit helps so contact us today to learn about how you can help fight malaria.